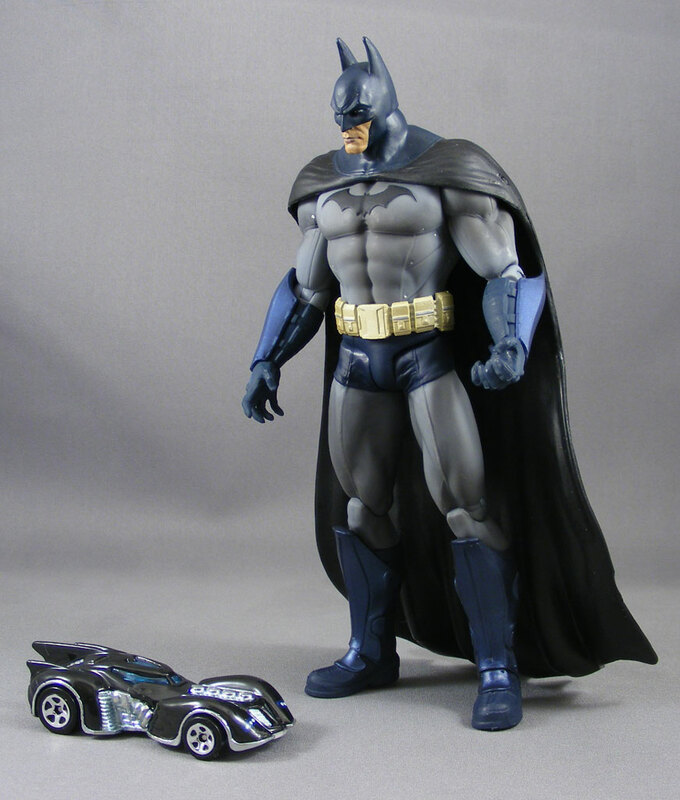 One dark night a few months ago, I took an oath–an oath to try to buy every toy associated with the Batman: Arkham Asylum/Arkham City franchise. 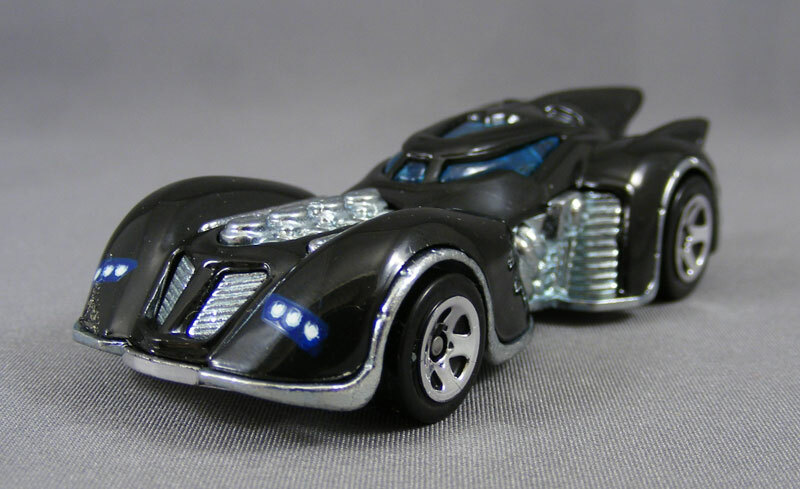 So that means when I found out there was a Hot Wheels version of the Arkham Asylum Batmobile, I knew I had to track it down. No doubt such a desirable item would be hard to find, vanishing from the shelves of toy stores just as they arrived. My exhaustive search ended with my very first eBay result, where I found one for $2.50 shipped. Apparently they’re not that rare. 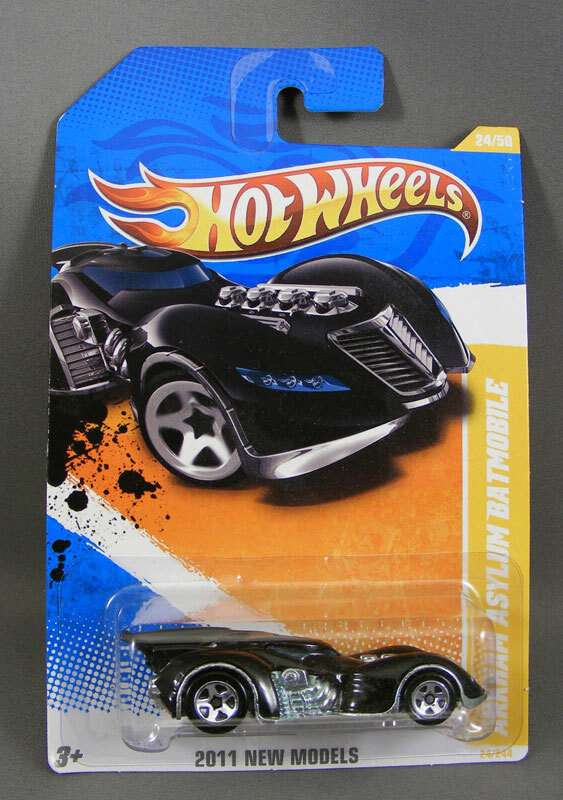 Packaging: While many of the recent Batman-themed Hot Wheels vehicles came in purple Batman-branded packaging, the AA Batmobile arrives in standard Hot Wheels blister card. It’s disappointing, really. Design & Sculpt: Rocksteady Studios, makers of Arkham Asylum, seemed to have pulled from the most iconic bits of Batman lore to create the so-called Arkhamverse, so it’s no surprise that their version of the Batmobile closely resembles the Tim Burton movie version (yes, the Tumbler is cool and all, but it’s not a very iconic design–really just a big lump with wheels). The Hot Wheels version is a 3″ long replica of the car. The sculpt is a bit soft; this isn’t a movie-quality replica, but a child’s toy. Metal, Plastic & Paint: Like all Hot Wheels, the car is made mostly from die cast metal. The windows (and possibly the black body) are made from plastic. I think the bright metal is what makes it look so toyish. Overall: While it might sound like I’m being quite critical of this thing, I recognize it’s just an inexpensive Hot Wheels car. If I’d been collecting all the other Hot Wheels Batmobiles, it would be a necessary addition to my collection. 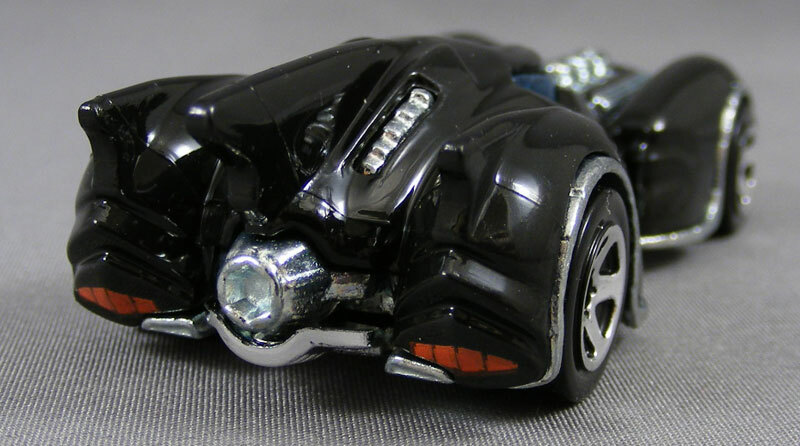 But if you’re not a Batman Hot Wheels collector, it’s worth grabbing only if you’re a big Arkham Asylum fan like me. One of the best games I've ever played. I have high hopes for the sequel. If I wasn't such an old fart and already doing so for gears3, I'd be in lone at midnight. how bout the fact that the head lights are upside down.